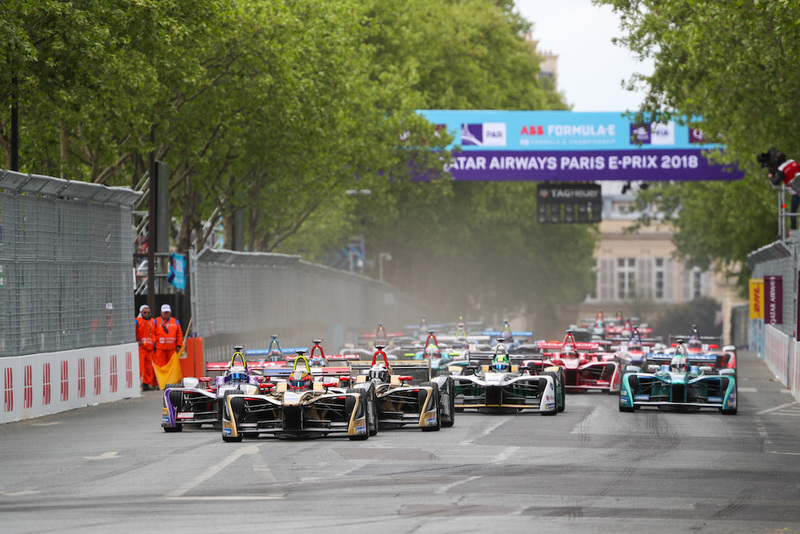 Techeeta's Jean-Eric Vergne emerged victorious at the 2018 Formula E Paris E-Prix, which was disputed on the same Parisian streets the French racing driver once roamed as a child. The nail-biting round saw plenty of action and several late-race collisions that promoted Audi's Luca di Grassi and Virgin Racing's Sam Bird to second and third place. Vergne's master plan for the Paris E-Prix was conceived during the qualifying session the day before the race, when he put together a well-balanced lap that saw him attack several sectors with outright ferocity while others he simply waltzed through the corners, securing him the first place on Sunday's grid. From that moment on, it was all about managing the battery's energy level as well as his Michelin tires. It was a very different story behind the Frenchman, as his teammate, three-time 24 Hours of Le Mans champion Andre Lotterer, was involved in a dramatic crash with Sam Bird in the closing stages of the race. 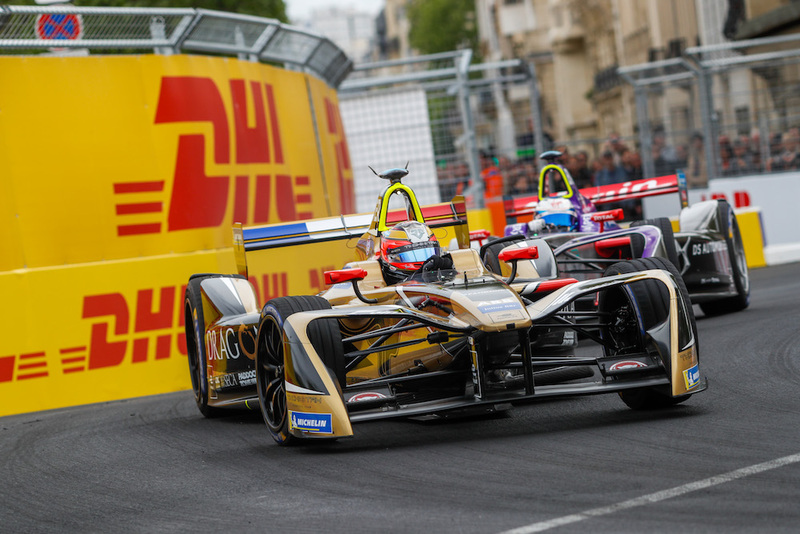 The German driver was pushing hard to make it a one-two finish for Techeetah alongside Vergne, but ran out of energy with just four corners left in the E-Prix. The sudden drop in speed caused Bird to smash into the rear of Lotterer's car, mangling both, but allowing Bird to creep to the finish line in third place while Lotterer dropped all the way to sixth. 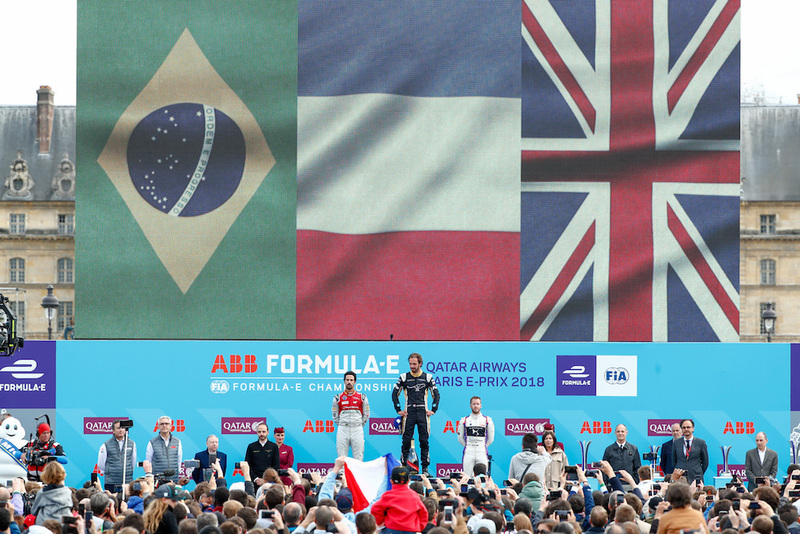 As a result of the collision, di Grassi jumped up to second place and was able to score his third podium in a row and edge out his teammate Daniel Abt for the fifth place in the drivers' championship standings. “It was the race I wanted to win this year and to have done it in such a good way today from pole position was absolutely amazing—I couldn’t be happier, especially with my birthday this week," said Vergne. "We’re racing in the most beautiful city in the world, we have the best location on the Formula E calendar. Paris has done a great job in creating an event seeing how many fans there were here today." 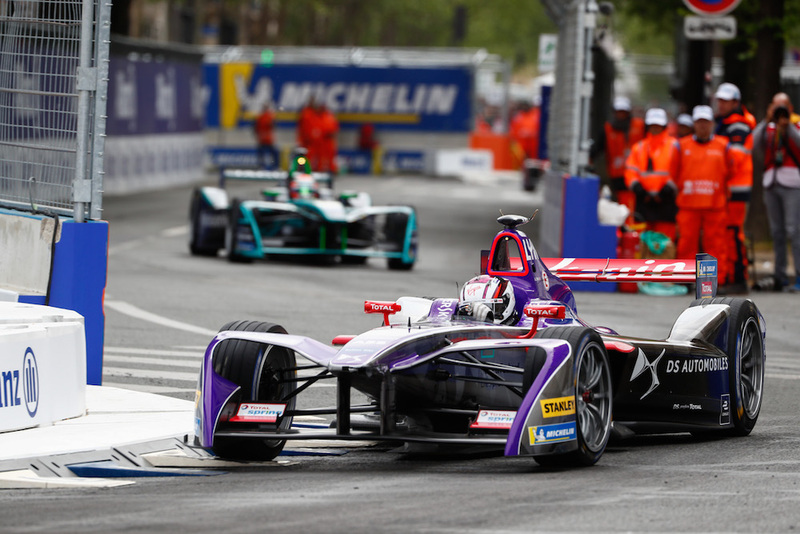 The electric racing circus heads to Berlin next, where Formula E will contest its ninth of 12 rounds on May 19, ahead of Zurich in Switerzland and the American double-header in New York City.